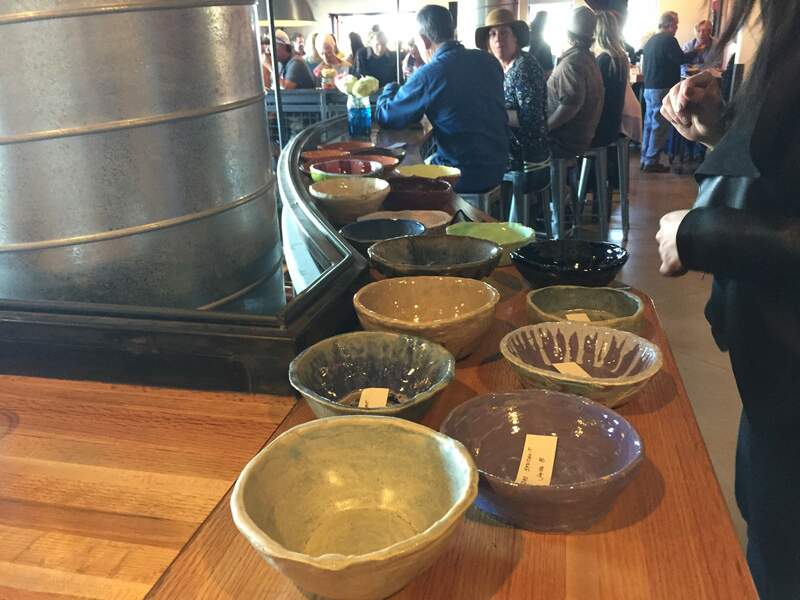 Guests selected a one-of-a-kind hand-potted bowls to take home after dining at Empty Bowls and Brews, a March 29 fundraiser for Manna at Ska Brewing Co. Guests enjoy soup and beer at Empty Bowls and Brews, a March 29 fundraiser for Manna at Ska Brewing. At Soup for the Soul, a fundraiser for Hospice of Mercy, guests go home with a popular soup mug. At Empty Bowls and Brews, a new event created this year to benefit Manna, guests went home with a one-of-a-kind hand-potted bowl after dining on soups provided by local restaurants. What’s the moral of the story? Soup fundraisers have the best party favors. Empty Bowls was March 29 at Ska Brewing Co. In addition to a Ska beer tasting, attendees enjoyed culinary creations from El Moro Spirits and Tavern, Steamworks Brewing Co., The Container Restaurant and Manna Culinary Arts School. The menu included Thai red chicken curry with basmati rice garnished with herbs and peanuts, paired with Ska’s Modus Mandarina; buffalo-chicken sausage with a creamy blue cheese risotto, served with Baltic Porter from Ska’s MOD Project; jerk pork stew with sweet potatoes and fresh homemade pretzels, paired with Rudie Session India Pale Ale; and banana Foster bread pudding with salted caramel ice cream, served with True Blonde Dubbel. Potters for the bowls included Mark Jaramillo of The World According to Mark; Marilyn Kroeker of Raven House Gallery; Janette Harrell of Menefee Mountain Pottery; Sherry Walker of Durango Pottery; potters from The Clay Room; J. Burnite of Durango High School; Jay Dougan of Fort Lewis College; Jackson Blaisdell; and Kristi Anderson. First outings of fundraisers are often dry runs for events that grow into something larger, but this event started by selling out. 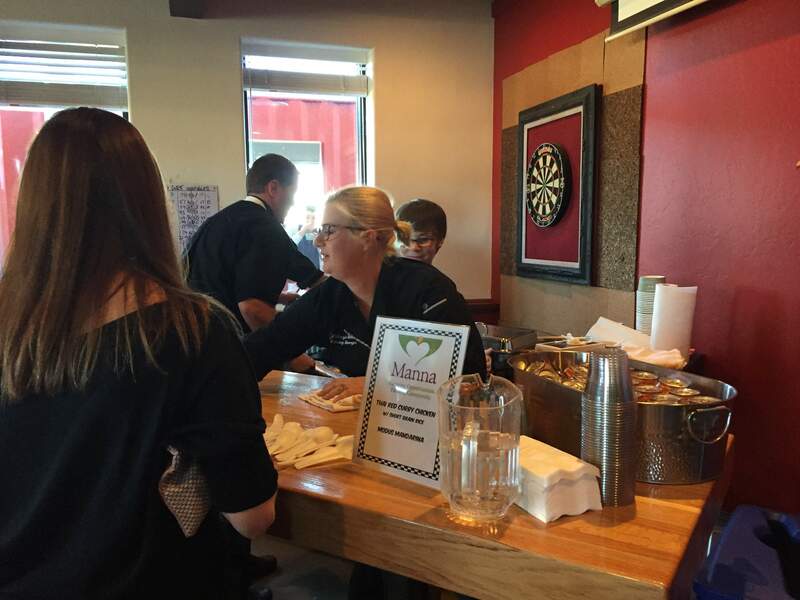 It brought in a new, younger crowd to support Manna, which is always a goal, Manna Executive Director Kathy Tonnessen said. Manna, formerly called Manna Soup Kitchen, offers meals, food and support services to the most fragile members of the community. It also helps people improve their lives with assistance in job-seeking, teaching restaurant skills through its Culinary Arts Program. HHHCheck back at durangoherald.com for more Neighbors stories and photos. Click on the word “Neighbors” to make sure you haven’t missed any stories. Neighbors runs in the weekend print edition of The Durango Herald.Here’s how to reach me: neighbors@durangoherald.com; phone 375-4584; mail items to the Herald; or drop them off at the front desk. Please include contact names and phone numbers for all items. Follow me on Twitter @Ann_Neighbors.I need photos for all Neighbors items, but they must be high-quality, high-resolution photos (at least 1 MB of memory) and include no more than three to five people. I need to know who’s who, left to right, and who to credit with the photo. Candid photos are better than posed, and photos should be submitted as JPG or TIF attachments.